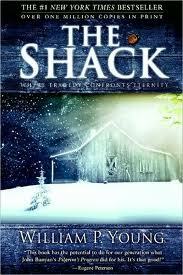 I am listening to the audio version of The Shack by William P. Young, and one concept from yesterday’s reading (listening) really got me thinking. [Yes, I realize that it is a fiction book; however there are some great insights in there.] God doesn’t want to be the top of our hierarchy pyramid, he wants to be the center of our carousel. I don’t just want a piece of you and a piece of your life. Even if you were able, which you are not, to give me the biggest piece, that is not what I want. I want all of you and all of every part of you and your day. 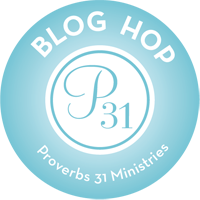 When we think about our relationship with God in a hierarchy sense, (God first, husband second, kids third, etc.) we tend to treat it like a checklist. I did my half hour devotion, I’m good for the day right? No! God wants to be a part of everything we do. He wants to be the center of everything we do. When we go to the grocery store, he wants to be there. When we go to the PTO meeting, he wants to be there. God is not an item on our checklist to be crossed off; he is supposed to be a part of us, an essential part of who we are. When we treat him like an item on the checklist this is more like religion than relationship. We don’t follow Christ or walk in obedience because we have to, but because we want to. We simply must love Christ more than we love ourselves. We don’t do it because we want to please him (even though we really do); We don’t do it to make Christ love us (He can’t love us more than He already does). We don’t do it for rewards or blessings (although we can and should enjoy these). We do it because we can’t help but do it. Our relationship with Christ should be so important and all encompassing that it becomes a natural part of who we are. Now, do we always get it right? No. We make plenty of mistakes; however, God’s grace is right there to cover them all. Grace was intended to cover the shortcomings of us sinners when we have a repentive heart and have a desire for the righteousness of God. Let us ask ourselves today if our relationship and love for Christ looks anything like I mentioned above. If not, what changes do we need to make to get us to that place? Let us take God with us wherever we go today!